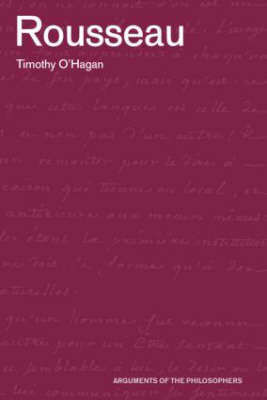 Timothy O'Hagan investigates Jean-Jacques Rousseau's writings concerning the formation of humanity, of the individual and of the citizen in his three master works: the Discourse on the Origin of Inequality among Men, Emile and the Social Contract. He explores Rousseau's reflections on the sexes, language and religion. O'Hagan gives Rousseau's arguments a close and sympathetic reading. He writes as a philosopher, not a historian, yet he never loses sight of the cultural context of Rousseau's work.